Recently (5/6/13) a spokesperson for the Nuclear Regulatory Commission announced that 79 gallons of “very slightly radioactive water” leaked from a holding tank at the Palisades Nuclear Power Plant and found its way into a storage basin that flowed into Lake Michigan. Officials quickly stated that the accidental discharge of the radioactive material (trace amounts of tritium, cesium and cobalt) into Lake Michigan posed no risk to human health since the water did not contain a whole lot of radioactivity to begin with and got massively diluted before entering the lake. Although workers did successfully stop the leak and prevent any further contamination of the lake by radioactive water from the plant, the Nuclear Regulatory Commission did shut the plant down once they discovered the leak. Why has this facility had so many problems? The NRC had its eye on this plant for past violations/concerns so it caught wind of the leak and addressed the matter relatively quickly. How many leaks of “slightly radioactive water” from power plants not on the NRC’s immediate watch list go undetected for long periods of time before anyone catches on? Despite the reported small quantities of cobalt, cesium and tritium, diluting contaminants does not change the fact that contaminants have entered the environment. Here in the United States we (supposedly) have inspectors actively checking up on nuclear power plants to make sure they follow the rules and have equipment that functions properly… but what about overseas? What sort of inspection schedules and government oversight exist in other countries with smaller budgets? Needless to say we scared ourselves to the point of getting chills down our spine. In movies you will see people walking around with complicated looking devices that also appear to cost a small fortune… but in real life the average person can pick up a reliable, easy-to-use radiation detector for under $300. 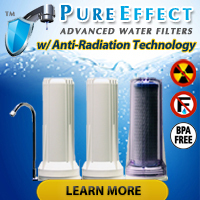 As an example, in the Water Test Kit Store you will find both the DX-1 Radiation Detector and the DX-2 Radiation Detector manufactured by Industrial Test Systems, a US based company. The DX-1 meter detects radiation levels between 0 mR/hr and 10 mR/hr while the DX-2 meter detects radiation levels between 0 mR/hr and 100 mR/hr. Both meters work equally well as front line radiation monitoring tools and both come with a 1 year warranty on the detector tube and a 5 year warranty on the electronics. Warranty serviced directly by the manufacturer, not some off-the-wall random electronics shop. 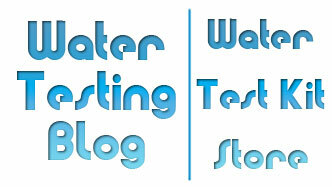 « Can Water Quality Affect Seasonal Allergies?